YUKKA Lab | News & Trend Lab insights: Time to invest? Or time to reduce? News & Trend Lab insights: Time to invest? Or time to reduce? 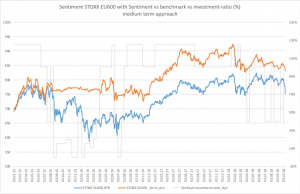 16 Oct News & Trend Lab insights: Time to invest? Or time to reduce? In times of great uncertainty and volatility, we all want to know where and when to invest. And when not. The mood often turns before the prices. 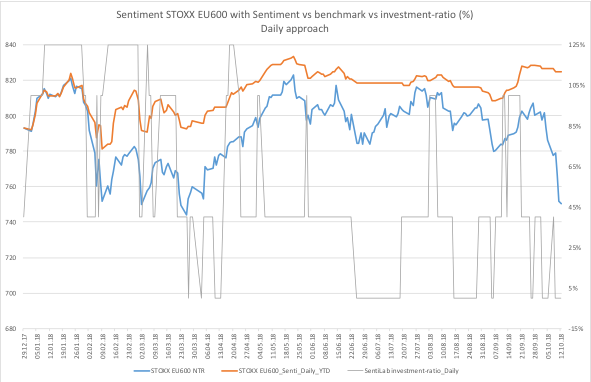 Our Augmented Language Intelligence measures whether investors have confidence in the stock markets, whether their gut feeling is “POSITIVE”, or whether they prefer to take cover and reduce their investment ratios. Do you also want to be regularly informed about our sentiment-based early warning system? Subscribe to our newsletter or test our News & Trend Lab yourself: Register for a free 30 days demo!